Tolkien wrote pages of descriptive prose in describing the locations and world of The Lord of the Rings. With a single shot, those words were given life and an image through the lenses of Andrew Lesnie and director Peter Jackson. They shot three films with absolute artistry and magnificence, 12 hours of stunning beauty which, as cinematography should, served the story. 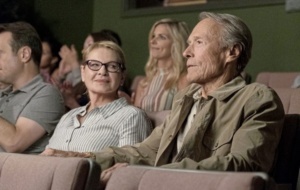 “Cinematography is infinite in its possibilities, much more so than music or language” said the great Oscar winning cinematographer Conrad Hall. Film is an image driven art form and without those images, we have nothing. 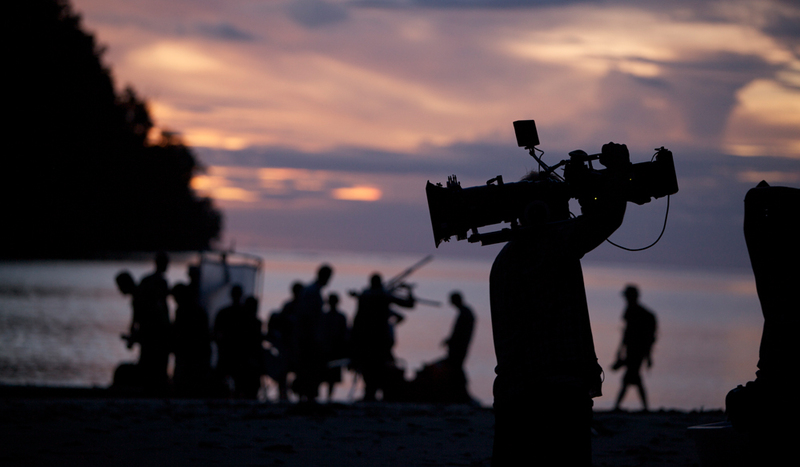 Cinematography serves the story, providing a visual context, but can also enhance with striking visual beauty. Be it black and white or colour, cinematography is the most important of the technical crafts in making a film. In fact, the person the director will work closest with is his or her cinematographer. Film is a visual medium, though sound and music came into the art in 1927, the visual art has always been first and foremost. Like many crafts it has evolved through the years and continues to do so. Think of the greatest images in film history: that beautification close up of Chaplin’s smile in City Lights (1931); the ancient mummy coming to life, driving a man to instant madness in The Mummy (1932); Dorothy opening the door to Oz, moving from a colourless world to one bursting with vibrant colours in The Wizard of Oz (1939); Scarlett overlooking her beloved Tara in Gone with the Wind (1939); Kane towering over the podium, speaking to his admirers in Citizen Kane (1941); Jett Rink (James Dean) stomping out his property in Giant (1956); the magnificent movement of thousands during the exodus in The Ten Commandments (1956); the thundering chariot race in Ben-Hur (1959); the dark majesty of The Godfather (1972); the intimate glimpse into depravity in Cabaret (1972); the jump to hyperspace in Star Wars (1977); that startling opening in Apocalypse Now (1979); Elliott and ET ride across the moon, and so many other iconic moments created by the cinematographer and director. The magic of the movies. Their names, to those who know, are legend. 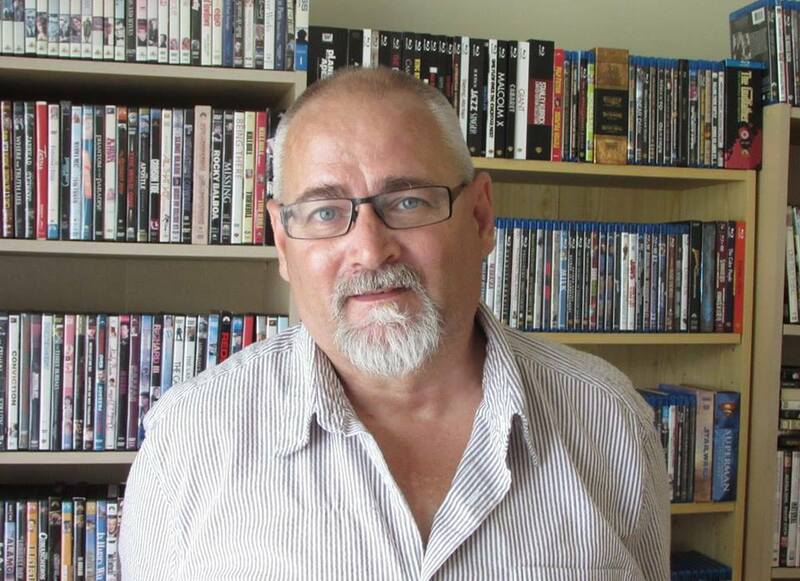 Gregory Toland, Freddie Young, Gordon Willis, Vittorio Stararo, Vilma’s Zsigmond, Alan Davau, Janusz Kaminski, Robert Surtees, Michael Chapman, Emmanuelle Lebezski, Robert Richardson, and Geoffrey Unsworth represent just some of the greatest cinematographers in film history. With great cinematography we are swept into the past and future, to worlds that existed in the mind of the writer on the page, massive epic moments, intimate tiny moments, the cinematography tells the directors vision visually. 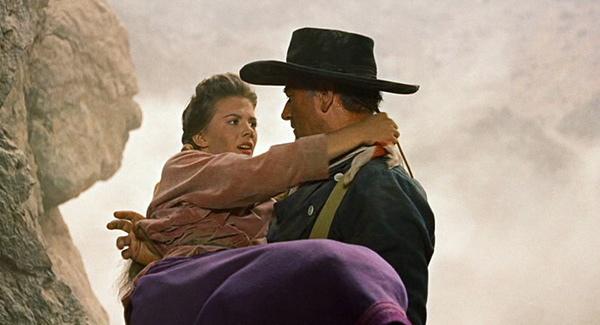 RUNNERS UP — GONE WITH THE WIND (1939), THE WIZARD OF OZ (1939), THE GRAPES OF WRATH (1940), BONNIE AND CLYDE (1967), BLADE RUNNER (1982), THE EMPIRE STRIKES BACK (1980), THE LAST PICTURE SHOW (1971), THE SEARCHERS (1956), ON THE WATERFRONT (1954), E. T. THE EXTRATERRESTRIAL (1982), GLORY (1989), 2001: A SPACE ODYSSEY (1968), CABARET (1972), REDS (1981), EMPIRE OF THE SUN (1987), JFK (1991), FAR FROM HEAVEN (2002), ROAD TO PERDITION (2002), THE ASSASSINATION OF JESSE JAMES BY THE COWARD ROBERT FORD (2007), THE DARK KNIGHT (2008), TRUE GRIT (2010), ZERO DARK THIRTY (2012), LINCOLN (2012), GRAVITY (2013), BLADE RUNNER 2049 (2017). Was ice and snow ever more beautiful, inviting or romantic? In the stunning icescapes of Northern Russia, much of this epic love story unfolds and soars in the splendid visual beauty. What Young did for heat and sand in Lawrence of Arabia (1962) he does for ice and frigid cold in this epic film. Set against the backdrop of the 1917 October Revolution, the narrative explores the intense love story between a Russian poet, Yuri Zhivago (Omar Sharif), and his love Lara (Julie Christie) and those they encounter before, during and tragically after the Revolution. 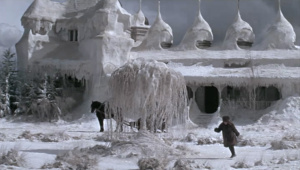 The streets of Moscow are perfectly dark, but where the cinematographer shines is when the story moves to the North, in the frozen wastelands where ice envelopes a house. Sleighs moving through the snow, armies in the forests, hundreds but out of sight, a revolutionary in a lone train car, all haunting in their serene beauty. Warren Beatty wanted his film Reds (1981) to possess the look of this film, mission accomplished. So richly green is the dense forest of new America I swear you can smell the greenery, the moss, the damp world that explorers found when they arrived from across the sea. As trees tower high into the sky, the explorers encounter the natives, and begin a delicate dance of getting to know each other. Further away, the explorers begin assembling a fort, unaware of the punishing winter looming. Terence Malick explores the relationship between Pocahontas and John Smith, but with absolute realism. Image becomes language. Every frame could be placed on a wall as a work of art, each enhances the film beautifully. The landscape comes alive with lush green, and harsh white. One of his greatest achievements. Billy Wilder’s greatest film is a modern-day horror film, though unlike any previous such film ever made. 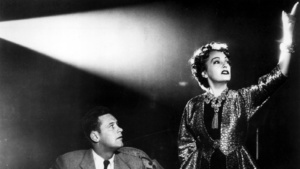 The monster within the movie is not a person, but the mind, in this case that of silent screen star Norma Desmond (Gloria Swanson), who believes 30 years after her career ended she is still a star. Seitz superbly captures the claustrophobic sense of her mansion, the feeling of moving back in time once inside as everything celebrates her fame, now long gone. Where the cinematography is at its best is anytime the camera is on Swanson, capturing the way she moves, always giving a performance until the end, when she comes in for her close-up and the madness is apparent. She is gone, insanity has taken control of her addled mind and it happens in close-up which becomes an extreme close-up. Brilliant, frightening, perfection. 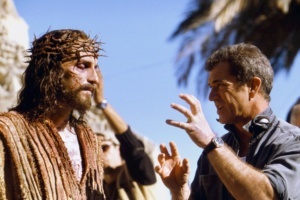 Mel Gibson directed, produced and funded this astonishing film about the last 12 hours in the life of Christ. That, before anything else, must be understood, this is not about the life of Christ. We see glimpses of his life before his arrest, some playful, some haunting, but the film begins with his arrest and moves gruesomely forward to his death. The ripping of flesh, the relentless punishment on the human body, so much blood, skin ripped from the bone, all filmed with unflinching honesty. Deschanel shot the events like a documentary, as though he were there documenting the events. The tear from heaven is a stunning shot, the scene in the crypt both unique in that they glow with an inner beauty the rest of the film does not have. Though bathed in blood, the film bursts with hope. Beautifully shot, from the opening scenes showing the birth of Christ, to the thundering chariot race through to seeing Christ on the cross, the film seems to bring to life the Biblical paintings of the masters. 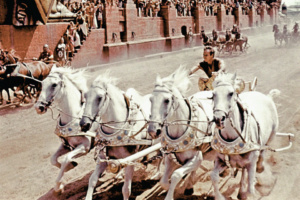 Of course, the singular greatest achievement within the film is the chariot race believed to be the finest action sequence in film history. Shot up close and personal, yet maintaining the epic feel of the film, the movie is a masterpiece, the cinematography first rate. 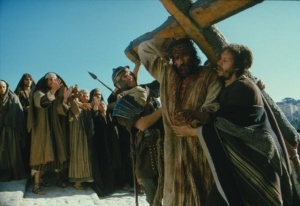 There are so many locations brought to life through the lens, from the opening in the stable, to the legions of Roman soldiers arriving in Jerusalem, the claustrophobic ship galleys, the celebration of the return of the men to Rome, the valley of the lepers and the stunningly beautiful sequence on the hell as Christ dies on the cross. An astounding achievement. The genius of the photography in this magnificent, majestic trilogy is that Peter Jackson went to the farthest regions of New Zealand to recreate the world of Tolkein, but greater is the achievement of blending cutting-edge computer- generated images with live action. The writer of the books often took pages to describe a forest, which Jackson and Leslie accomplish in one startling, moving shot. The cameras plunge into valleys, soars over mountain regions and captures the extraordinary beauty of Middle Earth. 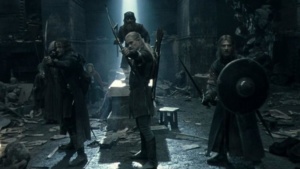 Even more impressive is the intimacy with which the story is told, the close ups on the faces of Gandalf, the wise Wizard; Frodo, the gentle little halfling sent on a mission to save their world; and Aragorn, the rightful king, a warrior sworn to protect the hobbits. Of course, Gollum is among the most remarkable creations in movie history and the manner in which Lesnie shot the actor was ground breaking, making history. After taking a profound beating in the ring, there is blood splattered everywhere. The camera pans down the broken body of the fighter, crucified to the ropes, beaten, broken, his body drenched crimson and dripping with blood. As the camera moves along we see the ropes drenched in blood, we watch it as it drips off the ropes onto the canvas. 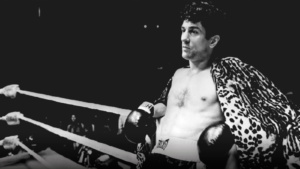 Martin Scorsese’s Raging Bull is one of cinema’s greatest achievements despite the dark subject matter and narrative. The opening sequence tells us what the film is about, as Jake LaMotta shadow boxes in the ring, we know we will see a film in which a man is at war with himself. The boxing scenes are visceral in their raw beauty, bones break, flesh is opened, blood is spilled, all quite startling and eventually searing in its power. Chapman captured images of the sport, a blood sport and turned brutality into art. And does New York not come to life when shot in black and white? Like The New World (2005), the lush green forests, streams pristine and untouched by man, dominate the film. 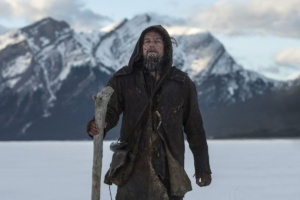 Lubezski’s greatest achievement, which won him a third consecutive Academy Award for Best Cinematography, we are plunged back in time to when fur traders dealt with the ferocity of the elements, the wars with the natives and, worst of all, treachery within the troops. There is not a single wasted frame of beauty in this film, which often feels like a documentary. Leonardo Di Caprio allowed his face to be photographed as a mask of emotions, usually pain, the close ups managing to convey the tortured soul underneath. Magnificent work. Somehow the weather and temperatures are conveyed in single shots, truly remarkable. The attack by natives that opens the film has the same visceral power as any modern war film. 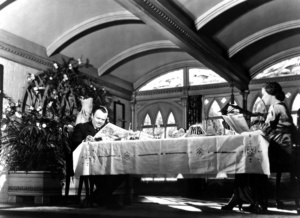 Toland’s accomplishments on this film were so substantial director Orson Welles shared his credit card with Toland. I wonder when they were making the film, playing like boys, if they ever believed they were unlocking the art of cinematography for future directors of photography? Yes, some of the techniques had been attempted previously, but none had ever been used to propel the narrative as beautifully as in Kane. What Toland and Welles were doing was recreating the language of the cinema, without ever realizing they were doing it. Where to start? Deep focus cinematography? Shots beneath the actors to make them look larger than life? Long shots to suggest isolation, often using the production design for emphasis? The crisp, pristine black and white was for the ages, as is the cinematography. Seeing this film for the first time provoked a deep visceral reaction from me, I actually felt physically ill during that Normandy sequence. 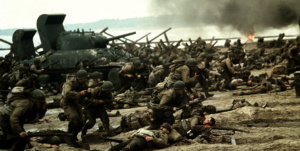 Using handheld cameras to capture an immediacy of the event, veterans who had stormed those beaches stated the only sense missing was the smell of blood, death, the sea and gun smoke. Spielberg captured combat as it has never been brought to the screen before, fast paced, chaotic, nightmarish, the air filled with blood and sea air, death up close and personal. Two astounding battle sequences open and close the film, and true, are the highlights. Yet the journey to find Ryan is beautifully shot as the troop moves behind the lines in war torn France, its lush green countryside littered with death and remnants of war. Close ups also prove invaluable as the camera captures the haunted, exhausted red rimmed eyes of soldiers who have seen too much and done worse, carrying ghosts around with them. The director sought to place audiences in the midst of combat, Kaminski was a most willing accomplice, together they created horrific art. Willis was known as the Prince of Darkness, a term that did not endear him to directors whom he often fought to preserve his vision. He realized his job was to serve their vision, but often felt he was not being heard. 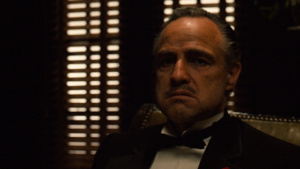 With the first two mafia epics, The Godfather and The Godfather Part II, Willis felt the films should be dark, hinting to meetings in back rooms made of oak, dark events being discussed and executed, and his choices were spot on. The first film is beautifully shot, opening up to sunlight when Michael flees to Sicily, darkening gradually as those looking for him close in. Part II was even more stunning, from the startling sunlight of Sicily which opens the film, murder in broad daylight, the heartbreaking images of immigrants gliding past the Statue of Liberty as they arrive at Ellis Island, through to Little Italy in turn of the century New York, and the beautiful landscape of Lake Tahoe, where Michael operates. The sweeping epic moves to Cuba, inside the huge senate hearing rooms back to Tahoe where Fredo meets his end. The camera captures the faces of the actors to perfection, especially that of Al Pacino, who we see move from honest, idealistic young man to dangerous, even vicious mafia chieftain. 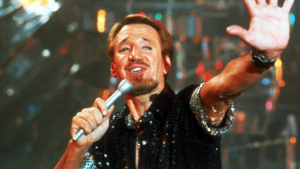 Along with Woody Allen’s black and white Manhattan (1979), these are the best films of Willis’ career. The beauty of this film remains its greatest strength. Lush green forests and fields, no smoke, pollution, roads ripping through the landscape, this is after all the 1700’s, but never has such a time been created with such beauty and honesty. Kubrick borrowed lenses from NASA to shoot the by candlelight moments, exquisitely beautiful in their shimmering glory. 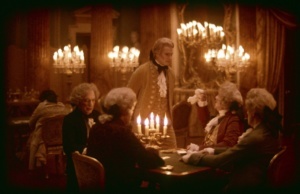 Set in the 1700’s, the film follows the adventures of Redmond Barry, who through marriage becomes Barry Lyndon. Kubrick managed to recreate a world free of concrete highways, towers or phone cables, giving us pristine green meadows, crisp running water in lush forests, and harsh battlefields littered with bodies. Inside huge mansions or castles, the scenes are lit using real candlelight, capturing the warm, burnish feel of firelight. The film moves slow enough to allow the audience to take in every gorgeous image. A film of remarkable visual beauty, it is the most wondrous visual film of the seventies. 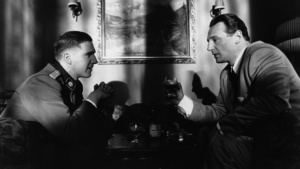 Choosing to shoot his Holocaust film in black and white was an easy choice for Spielberg, because the Holocaust exists, for him as well as us, in black and white. In a world drained of joy, of colour of any kind, the director found in Kaminski his creative soulmate. They understood one another, they each knew what the other wanted. Kaminski gave the film hyper realism, an urgency by using hand held cameras for much of the film. This allowed the ghetto evacuation to be horrific, the scenes in the death camp showers to be terrifying, it brought this night,are directly to us. Then, in a moment of genius, a little girl dressed in a red coat moves through the madness of the ghetto untouched, seemingly unseen. Like a drop of blood, she represents the millions who perished at the hand of the Nazis. How do we know she died? We see her again, or her coat, as she is pulled from a mass grave to be thrown into an inferno of fire. Alarming and heartbreaking, the sequences, both of them, are horrifying. The director insisted Kaminski create a look of absolute realism, and he did just that; it feels so much like a documentary, uncanny. Young creates an ocean out of wind whipped sand dunes in David Lean’s masterful epic about T.E. Lawrence. The challenge of course was capturing the love of the desert Lawrence had after being banished to Arabia. Young captured the stunning desert vistas, that scorching heat, the haunting mystique of the desert which, like the sea, is always moving, seemingly always alive, often benign, but a deadly crucible to conquer. Through the shimmer of the heat, we feel the intensity of the elements. 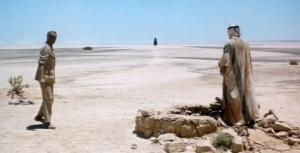 In one powerful sequence the desert swallows one of the young servants Lawrence has employed as he watches helplessly. And Young has the blazing blue eyes of O’Toole as Lawrence, as intense and alive as any of his majestic desert sequences. Not a shot is wasted, there is not an unnecessary shot in the film. Misses number one by a heartbeat, and frankly it could have tied. 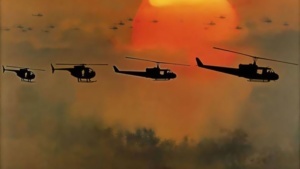 In this surrealistic, hallucinogenic study of the war in Vietnam, Stararo captured Francis Coppola’s vision to perfection. Horrifying in its beauty, and beautiful in its horror, the camera moves from a stunning sequence of a jungle exploding into an inferno, claustrophobic hotel room, to the boat on the river, deep into the lush jungles, snaking up the river to find Kurtz, surrounded by madness in his compound. The attack on the beach is among the greatest sequences ever filmed, and Kilgore (Duvall) stalking the beach fearlessly, never flinching as bullets whiz past and grenades explode. Stararo plunged the audience into Vietnam and never let us escape, even at the end, we are still there somehow, like Willard unable to escape, like America unable to forget. Coppola created a film full of astonishment, a hallucinatory nightmare about one of the wars that haunt America and the soldiers who fought there. Many would come home, like Willard, morally bankrupt, haunted by their acts and deeds, but longing to be able to go back because only then, in the jungle, or on a beach during a napalm drop, or on the river snaking through the jungle, did they feel truly alive.